The Chicago Cubs head to U.S. Cellular Field on Wednesday, July 26, 2017 to take on the Chicago White Sox. The expected starting pitchers are Jake Arrieta for the Cubs and James Shields for the White Sox. The odds for this matchup have Chicago at -200 and Chicago at +185. The Cubs have a 46-49-3 over/under mark and a 39-59-0 run line record. The White Sox are 51-45-0 against the run line and have a 47-46-3 over/under record. The Cubs have a 51-47 overall record this season. Starting pitcher Jake Arrieta has a 9-7 record with an earned run average of 4.11 and a WHIP of 1.26. He has 111 strikeouts over his 114 innings pitched and he's given up 106 hits. He allows 8.4 hits per 9 innings and he has a FIP of 4.21. The bullpen has an earned run average of 3.48 and they have given up 270 base hits on the year. Teams are hitting .214 against the bullpen and they've struck out 374 hitters and walked 157 batters. As a team, Chicago allows 8.1 hits per nine innings while striking out 8.8 batters per nine innings. They are 8th in the league in team earned run average at 4.04. The Cubs pitchers collectively have given up 785 base hits and 393 earned runs. They have allowed 118 home runs this season, ranking them 19th in the league. Chicago as a pitching staff has walked 342 batters and struck out 855. They have walked 3.5 men per 9 innings while striking out 8.8 per 9. They have a team WHIP of 1.29 and their FIP as a unit is 4.24. As a team Chicago is hitting .245, good for 24th in the league. The Cubs hold a .431 team slugging percentage and an on-base percentage of .328, which is good for 13th in baseball. They rank 25th in MLB with 8.3 hits per game. Javier Baez is hitting .272 with an on-base percentage of .310. He has 74 hits this season in 272 at bats with 39 runs batted in. He has a slugging percentage of .474 and an OPS+ of 101. Anthony Rizzo is hitting .252 this year and he has an on-base percentage of .377. He has totaled 90 hits and he has driven in 62 men in 357 at bats. His OPS+ is 128 while his slugging percentage is at .504. The Cubs have 810 hits, including 171 doubles and 136 home runs. Chicago has walked 363 times so far this season and they have struck out 812 times as a unit. They have left 682 men on base and have a team OPS of .758. They score 4.65 runs per contest and have scored a total of 456 runs this year. Chicago has a 39-57 overall mark this year. With an earned run average of 5.79, James Shields has a 2-2 record and a 1.63 WHIP. He has 34 strikeouts over the 46.2 innings he's pitched. He's also given up 51 hits. He allows 9.8 hits per nine innings and his FIP stands at 6.83. The bullpen has an earned run average of 4.00 and they have given up 290 base hits on the year. Teams are hitting .234 against the White Sox bullpen. Their relievers have struck out 346 batters and walked 130 opposing hitters. As a team, Chicago allows 8.8 hits per nine innings while striking out 7.9 batters per nine innings. They are 17th in the league in team earned run average at 4.56. The White Sox pitchers as a team have surrendered 822 base knocks and 425 earned runs this season. They have given up 139 home runs this year, which ranks 5th in Major League Baseball. Chicago as a staff has walked 359 hitters and struck out 739 batters. They give up a walk 3.8 times per 9 innings while they strike out 7.9 per 9. Their team WHIP is 1.41 while their FIP as a staff is 4.94. As a team, they are batting .258, good for 12th in the league. The White Sox hold a .413 team slugging percentage and an on-base percentage of .314, which is good for 22nd in baseball. They rank 14th in MLB with 8.8 hits per contest. 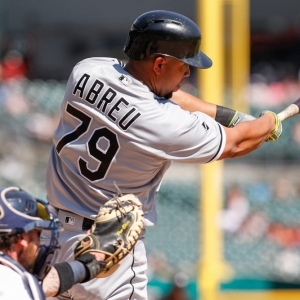 Jose Abreu comes into this matchup batting .298 with an OBP of .351. He has 113 hits this year along with 61 RBI in 379 AB's. He maintains a slugging percentage of .512 with an OPS+ of 131. Avisail Garcia is hitting .307 this season and he has an OBP of .352. He has collected 103 hits in 335 at bats while driving in 54 runs. He has an OPS+ of 127 and a slugging percentage of .493. The White Sox as a unit have 843 base hits, including 148 doubles and 107 homers. Chicago has walked 239 times this year and they have struck out on 792 occasions. They have had 616 men left on base and have an OPS of .727. They have scored 4.42 runs per game and totaled 424 runs this season. Who will win tonight's Cubs/White Sox MLB game against the spread?